As I patiently wait for my Google Nexus One phone to arrive, I started thinking about the iPhone features and improvements I’d like to see in the new model. Don’t get me wrong, I think my iPhone 3GS is the best piece of technology I’ve ever owned, but it will be a relic in 2 years. Replaced by something newer and shinier, with even more bells and whistles. I’m actually typing this post on my iPhone using the WordPress app, one of about 90,000 apps available. The quantity and diversity of apps available is definitely the iPhone’s best feature. So although I love my iPhone and believe it to be a life changing device (seriously! ), there are some things I’d like to change. Because the iPhone is really a mobile computer which happens to also be a phone, you find yourself reading emails, looking up things on Google or writing blog posts just because you can. This results in heavy use and consequently drains the battery much faster than you would on a normal boring plain vanilla phone with none of these features. I find the rare days I just use it as a phone, I have no problems with battery life. So, either a bigger battery which would obviously increase the size of the phone or an interchangeable battery would help a lot. I notice Google’s Nexus One has a replaceable battery. Why on earth can’t I send a picture by Bluetooth? My sister has a valid point when she tells me this is ludicrous for a phone which could easily be capable of this. Especially since there is no card slot to use to transfer files. She has an Samsung Omnia, which on paper looks so much better than the iPhone but in reality the ‘experience’ is so much better on Apple’s device. I still haven’t managed to convert her though, she thinks iPhone owners have Stockholm Syndrome, a situation where kidnapping victims start to feel compassion for their captors. Apparently we make excuses for out iPhones and only extol it’s virtues. OK, this has now been fixed with updated firmware but how can a smartphone be shipped without MMS? Yes I’ve heard the argument “who needs MMS when we have email right on our phone”, I can tell you my Mum and Dad don’t have email on their phone so I need MMS! The iPhone 3GS now has VGA video at a smooth 30 frames per second. So this feature is now taken care of. You will either need to jailbreak your iPhone 3G and add a program called ‘Cycorder’ or install ‘Ustream Broadcaster’ or ‘Qik’ from the app store if you want video on Apple’s older device. This is because Apple feels it better you don’t have video, even though the iPhone 3G is quite capable of it although at a lower frame rate than the current device. Who cares right? Better to be able to capture motion even if it looks slightly jerky than be restricted to stills. Since the iPhone is really a mobile computer, it would be nice if we could run multiple apps simultaneously.The device is clearly capable of this as you can speak on the phone while browsing the internet or answering email. If you jailbreak your phone you can install a program that will allow you to do this albeit against Apple’s wishes. As good as it is, the iPhone is not a perfect device. 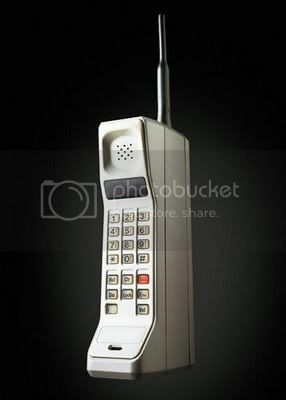 We have come along way since my first mobile phone, a Motorola Brick. That phone didn’t even have SMS! I’m looking forward to seeing smart-phones develop over the next few years but right now, eagerly anticipating what the Nexus One has to offer when it arrives and will post my findings here. You can’t buy the Nexus One in Australia at the time of writing, Google’s site says it’s not available in our country. I prefer the Android (Google) operating system over the iPhone, in my opinion the iPhone has too many resrictions. I don't want to install iTunes on my PC and most of the applications paid apps, you spend so much on the phone and they want you to pay for applications? The Android only needs one Google account, that's it, and it will instantly sync with you Gmail, Calender and contacts. Most of the apps are free and the free apps are actually decent apps. The Android also lets you use a standard MP3 file as a ring tone, the iPhone wants you to buy a ringtone (or spend half an hour changing the format of the music file). Apple needs to learn from Google.